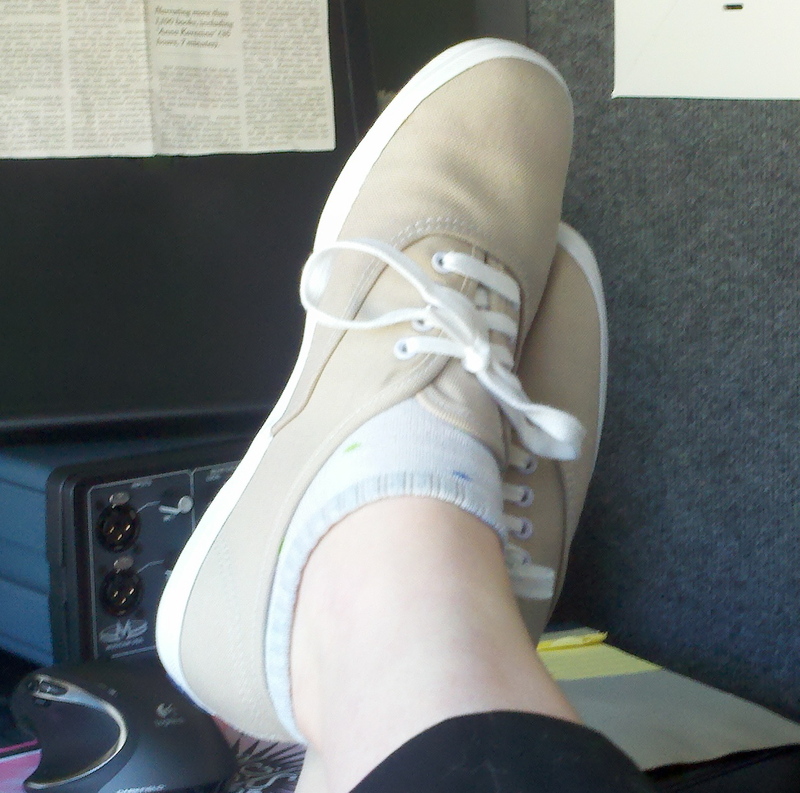 I love Keds. I do, I just think they’re cute and comfy and great little shoes. I haven’t owned a pair in a few years. I bought into the notion that I needed “real” sneakers in order to do any activity, but I’ve recently discovered that is just not the case. So, I bought 2 new pairs of “Classic” Keds. One for my daily wear, and one for the trunk of my car, for those times I decide to wear a pair of uncomfortable shoes and need something I can slip into and continue my day. Ahhh, its so nice to be home. Cute Keds! What color is your other pair? Black. As I mentioned, I keep them in my car, in case I’m out on the town with uncomfortable shoes and need to change… which I did the other day! SO glad my husband made that suggestion.